The grass is shamrock green, the mountains proudly stand sentry in the distance, the birds are chirping, and the air is a crisp, yet warm 75 degrees. 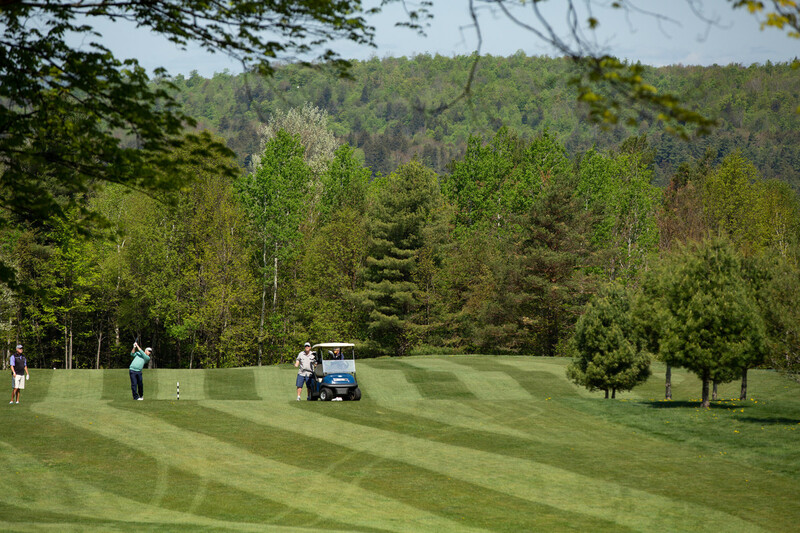 It's a fine day for a walk around the greens and fairways at the Tupper Lake Golf Club. Of all the ways to play outside in the Adirondacks, golfing is one of my favorites. And for those of you who don't play, I urge you to give it a try. It's a chance to be in a beautiful setting and get some exercise while challenging yourself and improving your concentration. 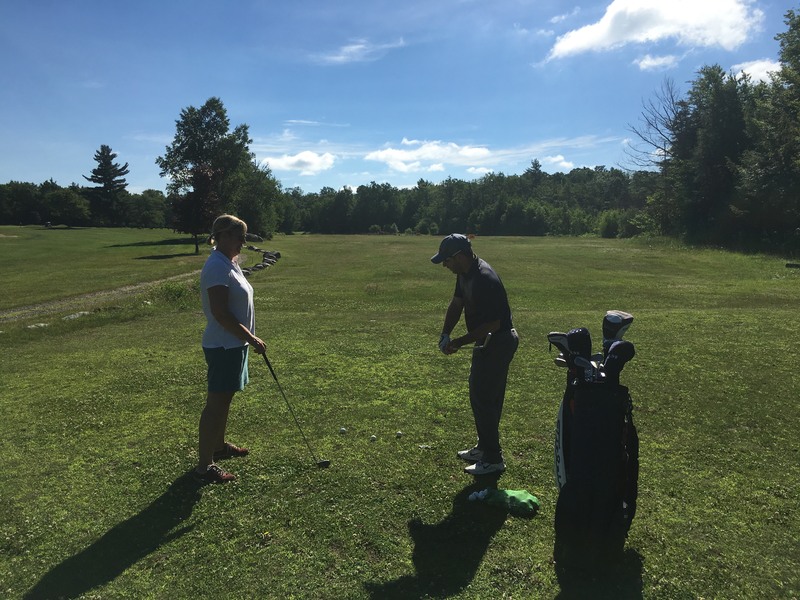 The Tupper Lake Golf Club is unpretentious and priced attractively, but with all the expected amenities of a manicured club. That's why I chose to visit and sign up for a lesson. I arrived at the course last Tuesday to meet golf pro and manager Evan LaBarge. I have played sporadically over the years, but decided to finally commit to becoming a real golfer. I met up with Evan to un-learn any bad habits I taught myself and to increase the chances of my ball actually landing in its intended location. Evan is a calm and friendly guy and it's easy to see why he is so successful as an instructor. When we arrived at the driving range, he unloaded my bag from the cart and pulled out a 6 iron and demonstrated a few perfect swings. Now, my turn. I made contact with the ball, but sliced it repeatedly. If I don't learn how to stop hitting shots with an open club face, my game certainly won't improve. Within ten minutes and a few suggestions from Evan, my swing improved dramatically. Chief among them was to stop lifting my front foot. 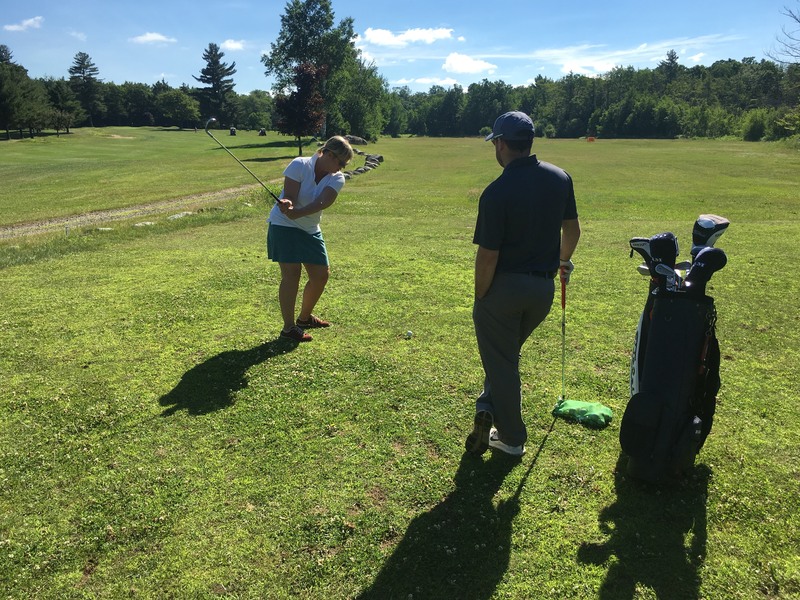 Other tips included improving my follow-though and turning my wrists after I make contact in order to put the ball on a straightforward trajectory. Easy fixes! I now fully understand the value of a short lesson with a professional. In fact, his theory is to give brief lessons and then give the students a chance to practice. There are so many nuanced mechanics and physics involved with the perfect swing, so giving 30 minute lessons is enough time to learn basics to build on. It starts with the grip, then the basics of the backswing, downswing, and follow through, bearing in mind to keep the head down, hips square, and knees bent. Sounds easy, right? Evan suggests signing up for three 30-minute lessons, with time in between each for practice. A quick call to the club and you can get set up with affordable lessons. Evan said to check their Facebook page for upcoming seminars and group lessons. At 6,153 yards, Tupper Lake Golf Club provides an interesting challenge. 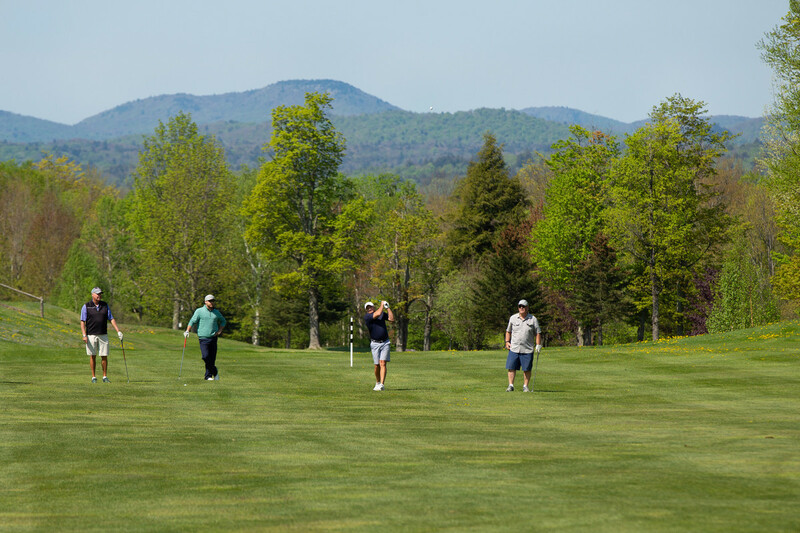 Its tree-lined fairways and wilderness background give way to views of Mount Morris and other Adirondack peaks. This Donald Ross-designed course also includes rolling terrain and strategically placed traps and bunkers. The 18-hole course also has a driving range, putting green, and restaurant and bar. A round of golf costs only $26, plus $8 for a cart. They offer golf packages and greens fees to Canadians at par. I know I'll be back! After a day of golf head into Tupper Lake for some dining and shopping.